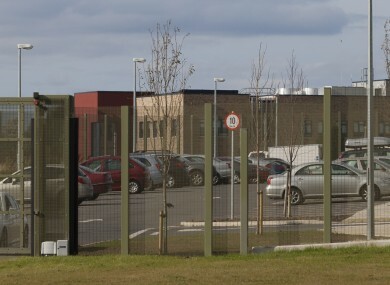 TWO TEENAGERS, CHALLENGING their alleged solitary confinement following a riot and fire at Oberstown Youth Detention Centre several weeks ago, were involved in a serious disturbance at the campus earlier this week, the High Court was told today. The teens are two of four detainees at the campus who have brought High Court proceedings claiming they were placed in solitary confinement at Oberstown, breaching their rights, following an earlier incident on August 29th/30th. On that occasion access to the roof by a number of inmates had led to a fire that seriously damaged one unit and caused the temporary close-down for repairs of two other units. Following the earlier incident the four claimed they had been subject to body searches, locked in their rooms for 24 hours at a time, fed through door hatches and denied family visits or allowed to associate with other detainees. The action has been before the vacation sitting of the High Courts on several occasions this month, and the hearing of the case had been listed for Monday, subject to the availability of a judge to hear the cases. At the High Court today Remy Farrell SC for Oberstown and the Minister for Children and Youth Affairs, told Justice Robert Haughton there had been another disturbance involving a number of detainees at the campus that began at 8pm on Tuesday evening and lasted until 9.30am Wednesday morning. The matter was a serious matter and at one point one detainee had threatened a member of staff with a screwdriver, counsel said. Damage was also caused to a unit on the campus. Farrell said that among those involved in the disturbance were two of the teens who had brought the High Court challenges and due to the new disturbances the centre and the Minister needed more time to file a sworn statement in reply to the claims against them. Two days had been lost as a result of the latest incident, counsel said. Farrell told the court that the Director of Oberstown, Pat Bergin, had been unable to finalise the paperwork because he had been on the campus dealing with the latest disturbance until it concluded Wednesday morning. Barrister Eoin Lawlor, counsel for two of the children who allege they were locked up alone for up to 24 hours a day, said it was a most serious matter that needed to be heard as expeditiously as possible. Aoife McNickle , counsel for one applicant, opposed further delay in the matter. Justice Haughton said he was extending the time for the state side to file its sworn statement until Monday. The hearing of the proceedings was to be listed for Tuesday, the Judge said. Email “Staff member at Oberstown threatened with screwdriver in latest disturbance”. Feedback on “Staff member at Oberstown threatened with screwdriver in latest disturbance”.